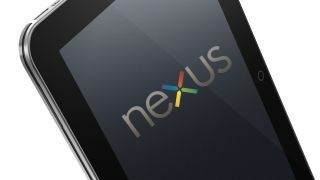 Has the lack of supply stalled the Nexus 7 from growing? Though Google's Nexus 7 had a rather successful launch, the demand for the tablet may have actually stymied the growth of Nexus 7 users. Just a few short weeks ago, the 16GB Nexus 7 was sold out at nearly all retailers, prompting Google to suspend sales of the 16GB model in order to catch up to the demand. Google was finally able to get the 16GB tablet back to retailers last week, but according to new data from the Chitika ad network, the expansion of the Nexus 7 market has stalled thanks to the supply issues. Chitika's analytics monitor users through their online ad network, and the company is able to provide a picture of how many people are using a device based on the web browser being surfed. In the weeks after the Nexus 7 launched, traffic from the device spiked upwards of 1000%, and averaged between 0.6-0.8 impressions for every 100 on the iPad. Comparatively, the current second place tablet is Samsung's Galaxy Tab, which earns 2.5 impressions for every 100 on the iPad. Prior to the sellouts, Chitika's analysis put the Nexus 7 on pace to surpass the Kindle Fire, but the recent unavailability of the tablet has kept Google from gaining on Amazon, let alone Apple or Samsung. The Nexus 7 currently counts 0.3 impressions, which is a staggering drop of 40 percent compared to when the device shipped. Chitika reports that though there was a drop in usage, there's still a chance the device can compete with similar devices. "Although Nexus 7 experienced a huge initial surge in both sales and Web traffic, users don't seem to be surfing as much as one might expect them to," Chitika said. "Since shipments have only recently restarted, we may begin to see another rise in Nexus 7 Web usage in the near future." With the iPad having a seemingly insurmountable lead, it's highly unlikely any tablet, let alone the Nexus 7, will be able to surpass its user base. However, it will be interesting to see if Google's Nexus 7 can catch up to the Kindle Fire, and other contemporaries, now that it's back in stock.